If you’re a graphic designer, you know how important a font choice is to the overall message and aesthetics of a design. Sometimes a serif or sans serif style typeface just doesn’t cut it. 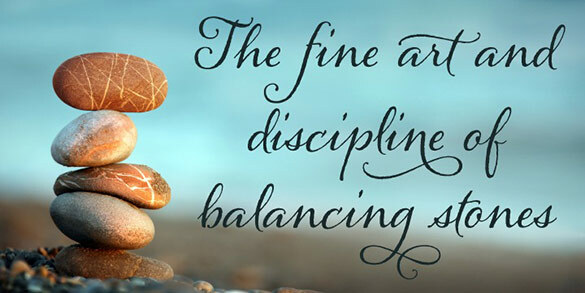 In some instances a good script style font is the perfect remedy. Here are 7 of the best script style typefaces out there. These are not free fonts, but they are all priced affordably. Hummingbird Font: A take on old fashioned italic hand written lettering. The font is classic, playful yet sophisticated. I can see this being used for barber shops, salons or coffee shops. 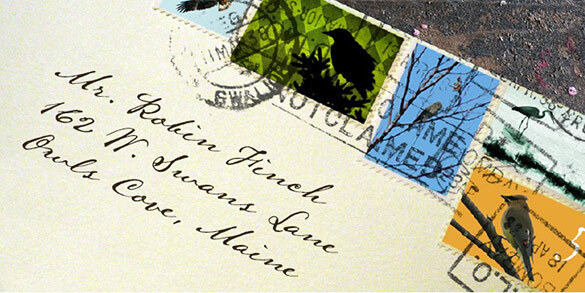 Lamar Pen Font: An amazing reproduction of actual hand written letters dating back 200 years. Not too clean, not too rough. The perfect type for reproducing classic penmanship. 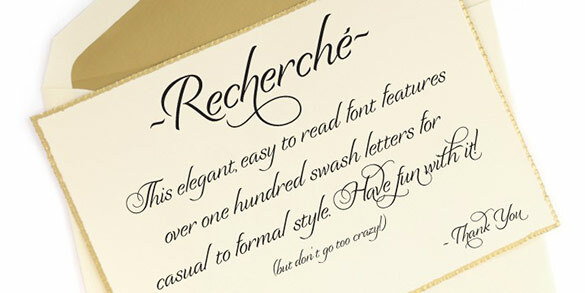 Recherche Font: A classy, easy to read typeface available in one weight. A good choice for wine bottle labels, invitations, thank you cards, etc. 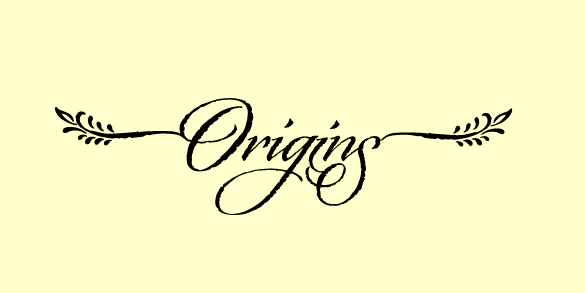 Origins Font: A calligraphy style typeface with a very antique look and feel. This rough edged look was achieved through actual quill pen lettering on parchment paper. 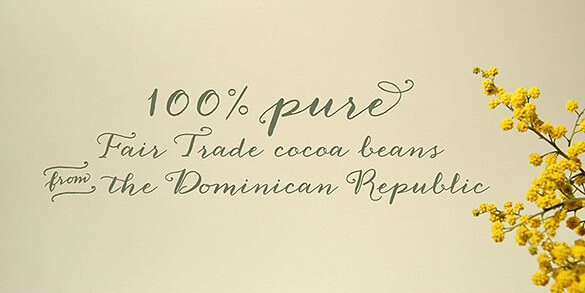 A good type choice for designing wedding invitations, menus, or when trying to achieve a Tuscan feel. 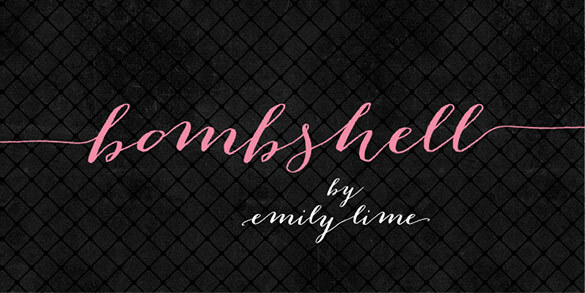 Bombshell Font: The unevenness of this typeface gives it a pretty organic natural feel. It features over 800 glyphs and alternates. I can see this working well for weddings, cafes, coffee shops, female clothing stores or designs requiring a whimsical feel. Alana Font: Similar to the Bombshell font in the natural hand writing feel and connection of characters. Different in that it’s horizontally aligned and a bit more formal. Possibly well suited for designs related to weddings, events or displaying quotations. Anna Clara Font: An uncrammed typeface with a modern organic feel. Add the available swatches and Anna Clara becomes a bit more playful. A wise choice for delis, coffee shops, restaurants, signatures or advertising headings. Thanks Cristina…sorry for the late reply. Better late than never I guess. Glad you liked the fonts. 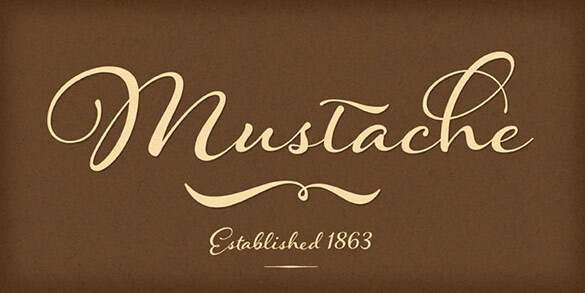 Hello im looking for the Mustache font, can you tell me if that is available ? Hello Saptarishi. Yes the font is still still available. The actual font name is “Hummingbird” not “Mustache”, though I can see your confusion. The “Mustache” text you see in the preview image is just an example of the font in use (created by the font maker). You have to click the link below the image (says “Hummingbird Font”). It will take you to the font page.